I teach the Zentangle method to a lot of children, and earlier during June this year, I tried teaching Diva Dance- Rock and Roll in my classes. Most kids got it, some didn't; and I don't really like it when students don't "get" certain patterns that I teach as I think of it in the sense that there has to be a better/easier way for me to teach the pattern. ... And I found a way! 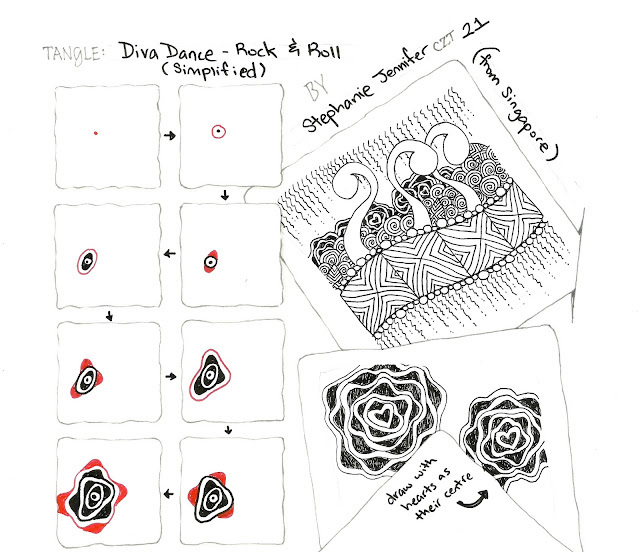 I'm so excited to teach you how to draw my version of Diva Dance- Rock and Roll. 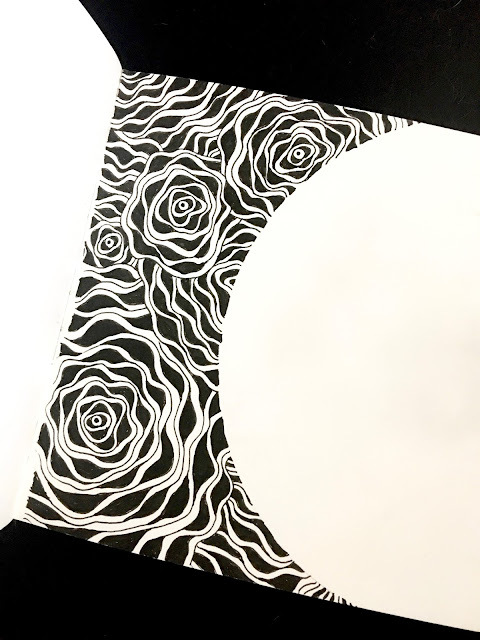 I'm sure it'd be a great substitute if you're teaching it as a first tangle to someone who has never tried Zentangle art before, or to children and other non-children (or children at hearts. haha) who struggle with the original tangle. The difficulty that the children I taught had with the pattern was deciding where and when they should add the "bumps". Some added too few and then it didn't look like the example that I had demonstrated for them. This made them frustrated. Others were so focused on the bumps that their aura didn't keep close to the bumps and they ended drawing something that resembled Printemps. I hope this video will also help. And here's a page in my sketchbook where I drew it as a border. I'm going to be drawing a Zendala next to it, leaving a white border between the two parts. Thank you for saying so. :) I'm glad you like it.